Text giving is one of the easiest and most convenient ways for our supporters to give to our cause, supporting individuals with sight loss. 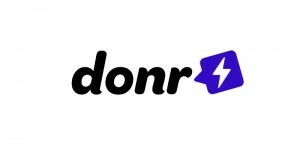 That’s why we have joined the Text Giving platform donr. Now every whole amount from £1 through to £20 can be given by donors as a one-off or a regular donation. To make a donation, text ‘EYEGIVE’ to 70085 to donate £3. This costs £3 plus a std rate msg. It costs Walsall Society for the Blind in the region of £250,000 a year to run its services. Donations are vital in enabling WSB to continue its work of raising awareness and supporting the Visually Impaired community across the Borough. Donations – Where will your money go? 65p Pays for a 5 minute phone call to one of our clients to make sure they are safe and well and their needs are met. £15 Funds a home visit from our Community Officer, who will provide advice and information on a whole range of topics including, Welfare Benefits, Aids and Equipment, Adaptations, Relevant Agencies, Support Groups and Social Groups. £25 Pays for 1 person to be collected from their door to attend our Day Centre, which provides a safe, happy and welcoming environment for clients, where they can enjoy many social activities such as lunches and days out, quizzes, bingo, dancing, various crafts and entertainment whilst meeting new friends. £50 Provides 150 of our clients with our weekly Walsall Talking Newspaper and Magazine service. Providing travel information, important news, light entertainment, chat and Magazines, including The Peoples Friend, Readers Digest and Country Living. We rely on the generosity of the general public to help us fund our services. Gifts in Wills and donations allow us to continue to provide our vital services, to ensure that no one is left alone in the dark world of sight loss. If you think you can help by leaving a gift in your Will, a small donation or by volunteering. A little help makes a big difference. 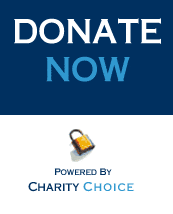 If you would like to donate to us, there are many ways in which you can do so. Alternatively, you can call in to the office at the above address and hand your donation to Reception. We will accept cash, postal orders or cheques. Unfortunately we are not able to accept credit/debit card donations at the office. Did you know that you can Gift Aid your donation? Gift Aid is a tax relief from the Government which helps charities to earn more on their donations. To give under the Gift Aid scheme donors must be U.K. taxpayers and have paid sufficient tax (as income tax and/or capital gains tax) to cover the amount that will be claimed by the charity in each tax year. By completing a Gift Aid form, available from Reception or by ticking the relevant Gift Aid permissions when donating online, we can claim the tax back on your donation, at no extra cost to you. This will increase the value of your donation and for every £1.00 donated Walsall Society for the Blind can reclaim 25p of tax. This means that for every £1.00 donated, we will receive £1.25 and for every £10.00 donated we will receive £12.50.